Free Rehab for Mollie Moo! You Too? 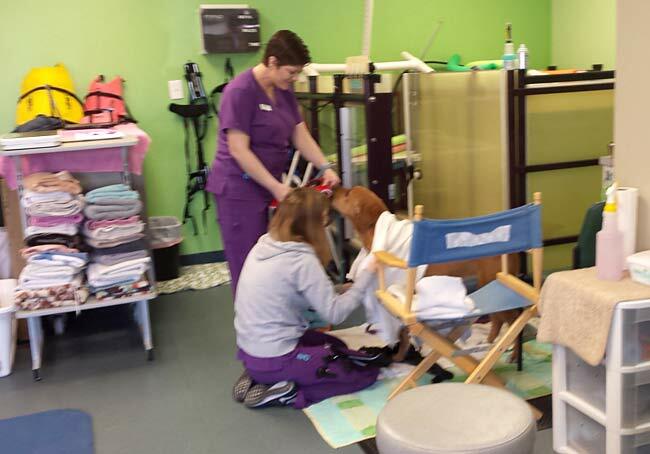 Tripawds Community member molliemoo took advantage of the Maggie Moo Fund for Tripawd Rehab. Read on for details about Lena’s experience with rehab for Mollie, and please consider a small contribution to help keep this program going! It is Miss Mollie Moo here. My mom and I went to my first rehabilitation appointment on March 1st. I must say; I had a good time. I was showing some signs of struggle with my front shoulder. My endurance has been low. 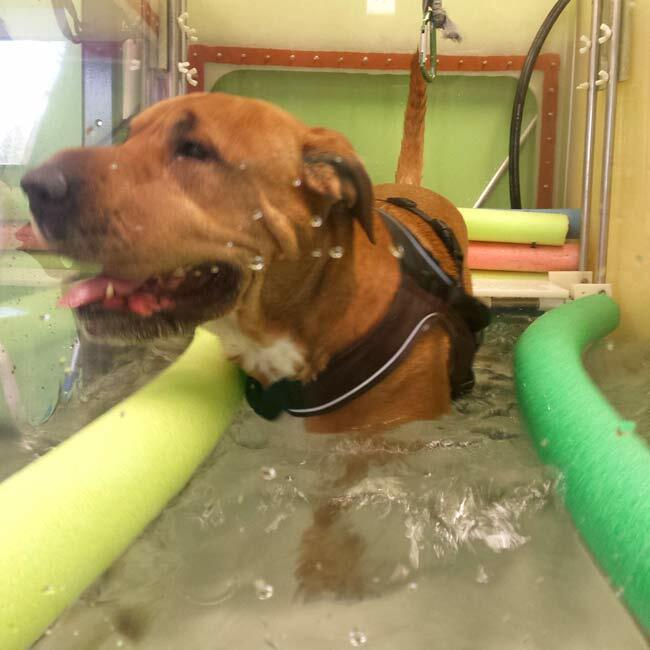 My mom made an appointment because she knew the Tripawds Foundation provided a rehab reimbursement program. We went to Dr. Shulte at Blue Pearl. She was fantastic. The Dr. measured my range of motion particularly my hip movement because I have hip arthritis. I didn’t like it when she pushed on my hip. I had a soft bite 😊 But they knew I wouldn’t harm a soul. We measured the weight of my stance on each foot. My front leg I have 40 lbs. of weight I am carrying. My back legs were 19 and 23. I did exercises on a wobble board. And we were shown how to do exercises at home (which is nice!). I had laser therapy on my hips. Next, I went to the BIGGGG Tank to go swimming with a treadmill! My mom said I had a nervous look on my face. Who wouldn’t be nervous! Water started to fill up in the BIGGG Tank…scary! Then the treadmill started. I knew to place my paws on the side, where there was no moving floor! The girls said I was a smart girl😊 Then the treadmill started to move fast. That is what helped me out. Tripawds need to move a little faster with 3 legs. I did well! I did 5 minutes with one small break. The girls said I do need to work on my endurance. My goal is 20 minutes. Holy moly that will be a big workout. So, my mom booked more appointments. My mom saw a difference in just one treatment. I have more of a hop in my step…and that is a great thing. I just celebrated my 8th~month ampuversary on Feb 22nd. My family and I are living life one day at a time and making the most of every second we have together. I have been doing very well, and I believe with rehabilitation I will do even better. I am already looking forward to seeing my new friends at rehab again! I am excited to continue on my journey with rehab. 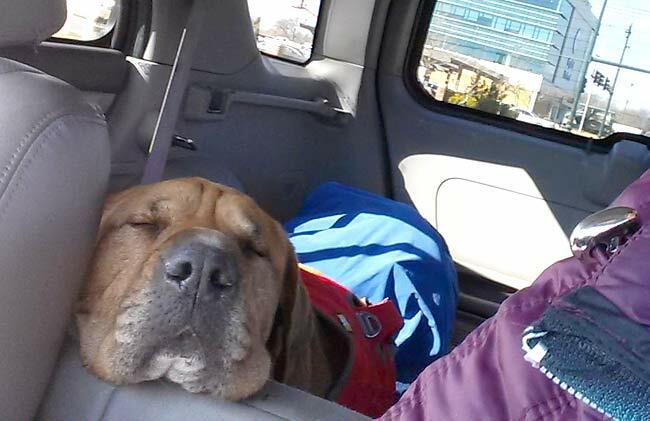 Thank you Tripawds for your support! It is so important to keep tripawds bodies in shape. * Some pics of me at Rehab. Then a picture when we were driving home. I was beat. Then I pepped up when my mom said she was getting me a treat! Help Keep The Maggie Moo Fund Going! Murphy loved going to rehab. He considered the tank to be his own personal space and would complain when another dog went in it. His rehab was long (he had a total hip replacement after his amp), but worth every single minute of it. I love the idea of a Tripawds Foundation. 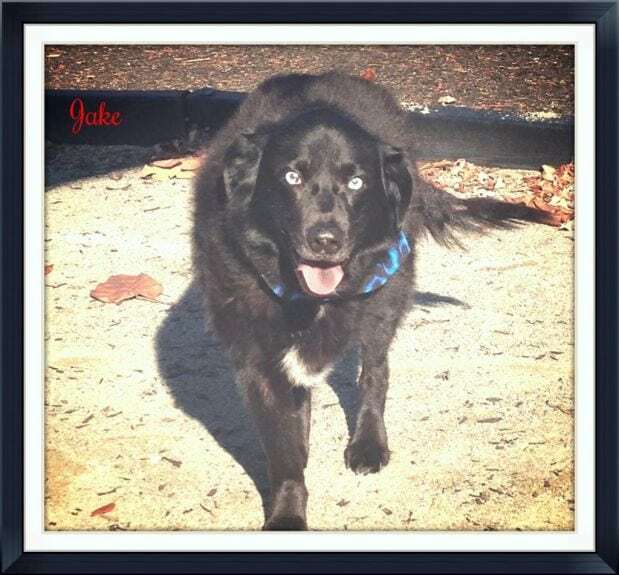 My Jake became a tripawd due to cancer at 11 years old and I was completely lost until I found this place. I have made some wonderful friends, and the support when he became an angel was more than I could have imagined.